We have the aluminum souffle cups you need to bake decadent chocolate or savory and cheesy souffles. 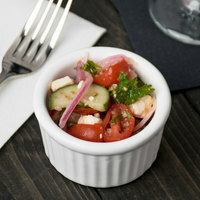 These cups are perfect for baking treats in your cafe, catering business, market stand, or bakery. 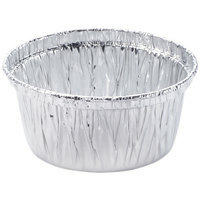 Thanks to their disposable aluminum constructions, these dishes can be used to bake and serve customers their orders to-go. 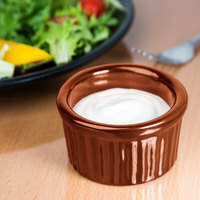 These aluminum souffle cups feature sturdy walls and durable constructions that will support delicate batters while they’re baking.They also have smaller capacities that are perfect for serving up individually-sized treats. In addition to using these cups for souffles and creme brulees, you can also serve up small appetizers and side dipping sauces.